Providing area residents ways to actively learn new ways of being healthy is a big part of the Be Well Kenmore initiative. Some of these ways of wellness presented by the KVIS have included dancing at the Village Green as a part of Lunch Beat Buffalo, T'ai Chi and hula hooping at the Village Green, creative thinking with Legos, smoking cessation, race training, managing chronic illnesses, and learning to can fruit and vegetables at home. The Be Well Kenmore initiative was first named Get Fit Kenmore, the name was changed after the first year to help be more descriptive. If you have an interest in helping our community grow in health and vigor then please consider joining the Be Well Kenmore Committee-anyone is welcome to join to help in this excellent initiative! Should you know of a health resource that you think we should be aware of or wish to recommend, please do! 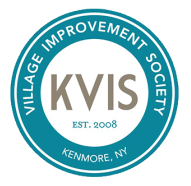 Our contact information is mail@villageofkenmore.com or 716-877-0477. The Be Well Committee meets on the 2nd Monday of every month (except August) at 7 pm and at other times as needed. Phil Haberstro is founder and CEO of the Wellness Institute of Greater Buffalo and WNY, Inc. The non-profit Institute provides “Healthy Community” advocacy, training and management services to public, private, civic and non-profit organizations in the Greater Buffalo Region and New York State. The Wellness Institute is a facilitator for award winning community building initiatives, youth programs, school wellness policy development; employee health promotion, immigrant counseling and prevention/wellness programs for older adults. Phil is known for his belief and practice of leaving his car behind to walk where he needs to go and he regularly takes public transportation. Phil was the 2014 Kenmore All-America City delegation Coach. Phil and his wife are long time residents of the Village of Kenmore.